SFP can be easily understood as an upgraded version of GBIC. The SFP module (which is half the size of the GBIC module and can be configured with more than twice the number of ports on the same panel. Since the SFP module is Function and GBIC basically the same, therefore, also by some switch manufacturers called miniaturized GBIC (Mini-GBIC). 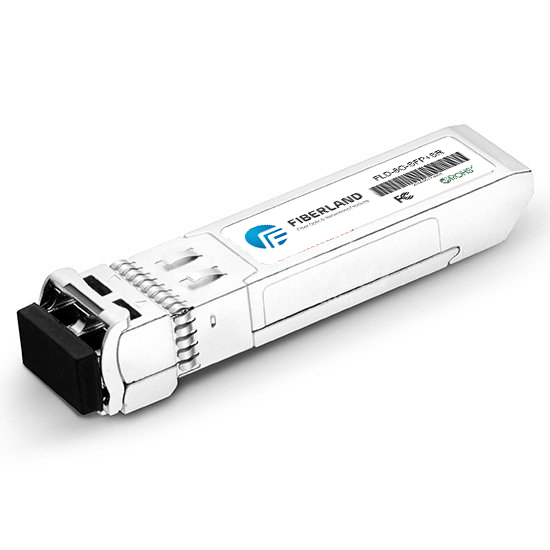 SFP has a variety of different types of transmit and receive, SFP the user can select the appropriate transceiver for each link to provide based on the available fiber type (such as multi-mode fiber or single-mode fiber) can achieve "Optical performance ". SFP also provides a copper interface, SFP so that the main equipment for the optical fiber communication design can also be through the UTP network cable communication. There are also wavelength division multiplexing (CWDM) and single fiber "to" (1310/1490 Nano-wavelength up / down) of the SFP. Commercial SFPs can provide a rate of 4.25 G bps. Several packages of 10 Gbps transceivers are XFP, and new ones that are identical to SFP packages Variant "SFP +". Interchangeable standard interchangeable products. SFP Gigabit switch with GBIC interface design because of the exchange of flexible, in the market occupies a larger market share. SFP (Small Form-factor Pluggable) Can be easily understood as an upgraded version of GBIC. SFP Potential to meet the equipment on the optical module high-density demand, from the 2002 standard launch, to 2010 has replaced the XFP 10G market mainstream.